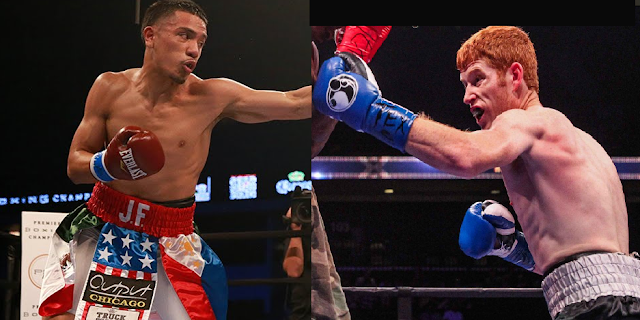 Filipino-Mexican undefeated 21 years old prospect Jose Felix Quezada faces the undefeated boxer from USA Ryan Karl on September 27, 2016, at Buffalo Thunder Casino, Pojoaque, New Mexico, USA. The Filipino-Mexican boxer has a record consisting of 11W with 6 victories coming by way of KO. Quezada stands 5'9 and currently fighting in the super lightweight division. Quezada is not a hard-hitting boxer as we saw on his record but he is a fast and skilled boxer. Jose Felix Quezada defeated Cameron Kreal in his last fight via Majority Decision last June 2016. On the other hand, Ryan Karl of USA is a hard hitting undefeated 24 years old boxer from Houston, Texas, USA. Stands 5'10 and has a 72' reach. In his last fight, Karl defeats Luis Solis of Mexico via UD last June 2016. Jose Felix Quezada vs Ryan Karl is included in the undercard of Bryant Perrella-Yordenis Ugas fight.